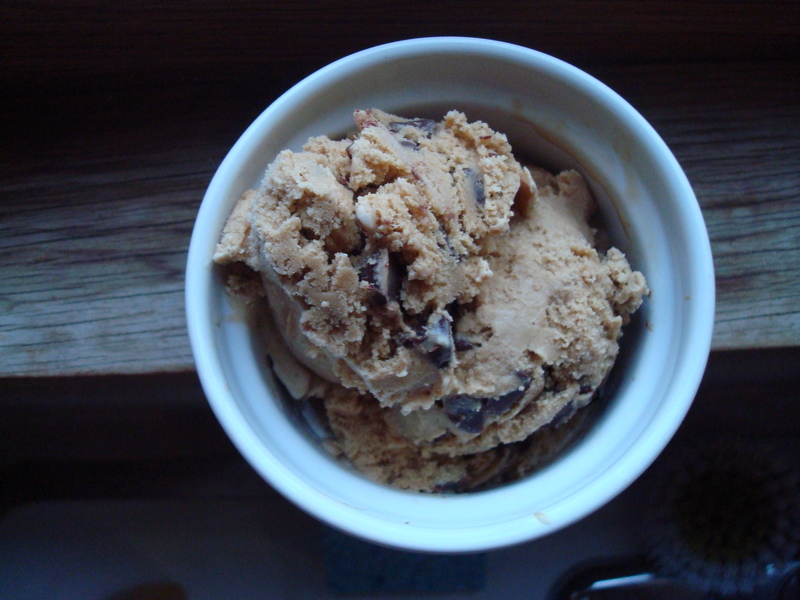 One thing you should know about me before we get too far into our blog/reader relationship: I love ice cream. I mean I love ice cream. I love it so much I have been known to eat it twice a day and yes, maybe even three times a day during a particularly hot summer. (Don’t judge.) In fact, my first job was at a soft serve joint and fifteen years later I still say it was still the best job I ever had… Ice cream just makes people happy. A few years ago I started making ice cream with my mom’s Kitchen Aid ice cream maker attachment and discovered that much like everything else in life, ice cream is even better when it’s homemade. 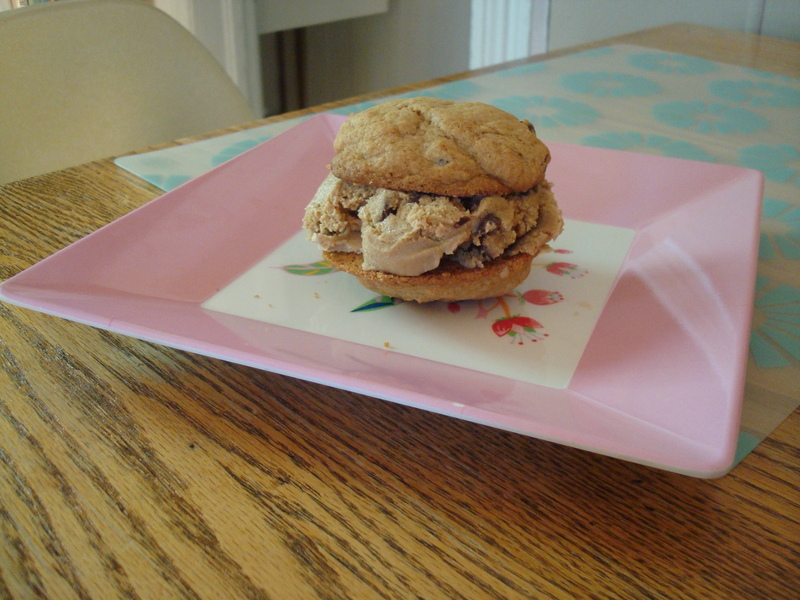 And what’s better still– my mom gave me the ice cream maker attachment because I was the only one using it. Suh-weet. This batch starts with espresso beans. 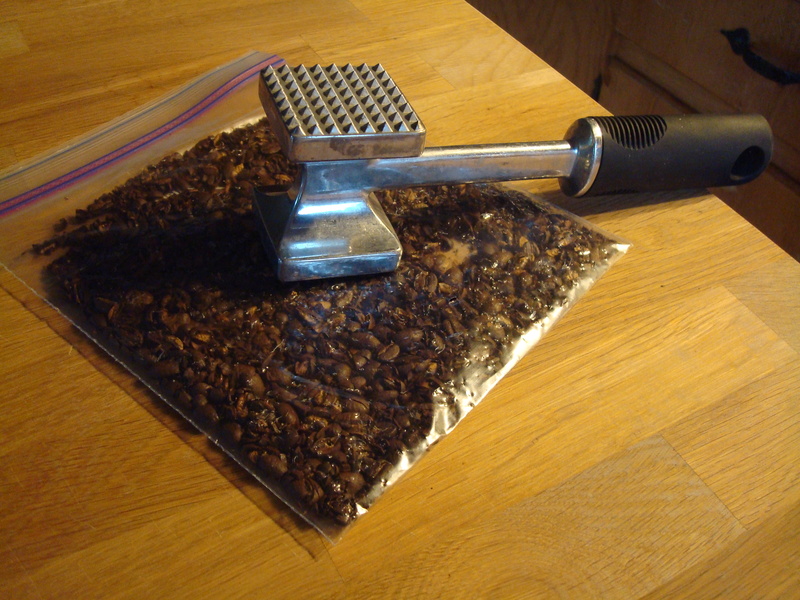 Espresso beans and a meat tenderizer. 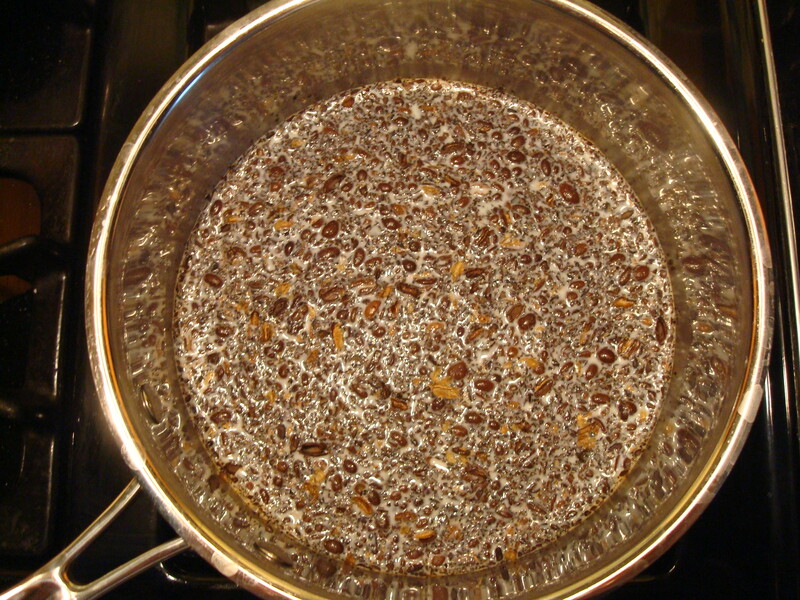 After showing those espresso beans who’s boss you put them in a pot with whole milk. Meanwhile you strain the espresso beans and return the espresso-flavored milk to the pot over low heat and then add the egg yolk/sugar mixture in parts while stirring constantly until thick enough to coat the back of a spoon. It is very important to stir constantly otherwise you might wind up cooking the eggs… Not good. I’ve done that before. No one wants cooked egg bites in their ice cream cone. 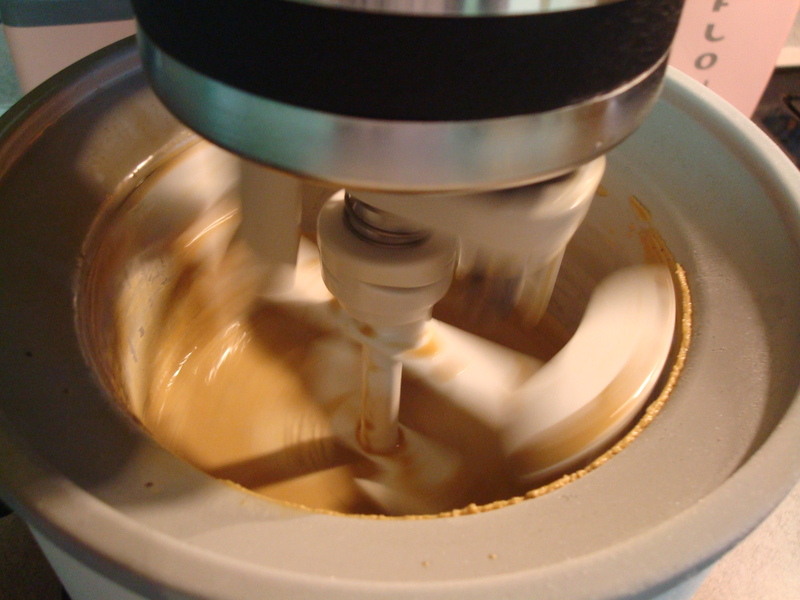 It is important to completely cool mixture before adding to ice cream maker so you can either refrigerate it for an hour or so or put in a mixing bowl that is submerged in a larger mixing bowl that is filled with ice to cool. This is also the stage in the game where you add heavy cream and instant espresso. Once cool, you stand back and let an ice cream maker do the work. Another great way to enjoy this ice cream? Well, do you remember those Mexican Chocolate Chip Cookies from earlier in the week? You might be thinking “Oh no you didn’t…” Oh yes I did. 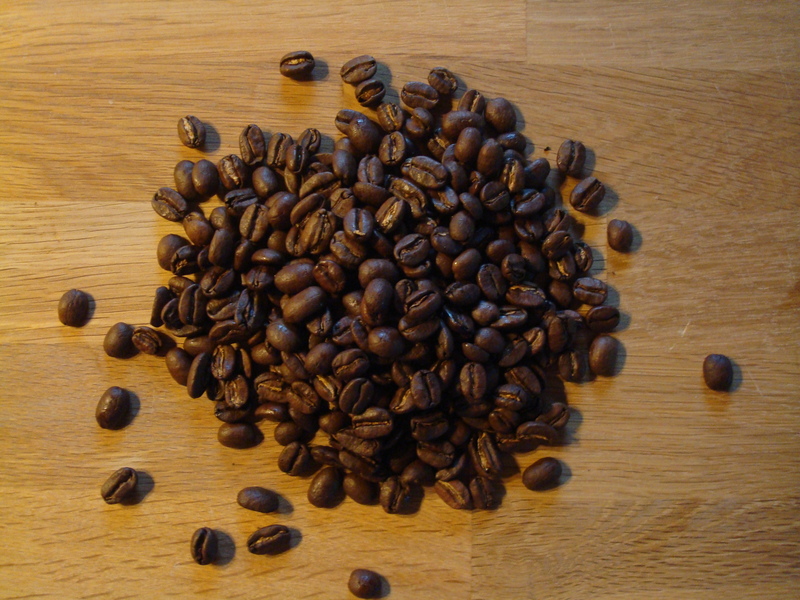 Place espresso beans on a cutting board, and gently crush them using a heavy saucepan or a hammer (be careful not to pulverize the beans). In a medium saucepan, heat milk and coffee beans. Bring to a gentle boil, cover, and remove from heat. Allow to steep for 30 minutes. Strain mixture, and reserve milk; discard solids. 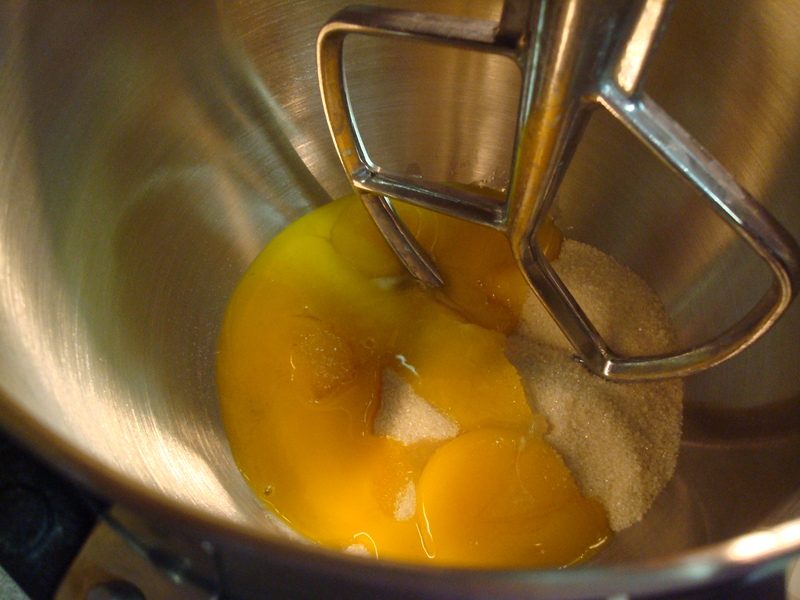 Combine egg yolks and sugar in the bowl of an electric mixer. Beat at medium-high speed until very thick and pale yellow, 3 to 5 minutes. Meanwhile, return milk to heat, and bring to a simmer. 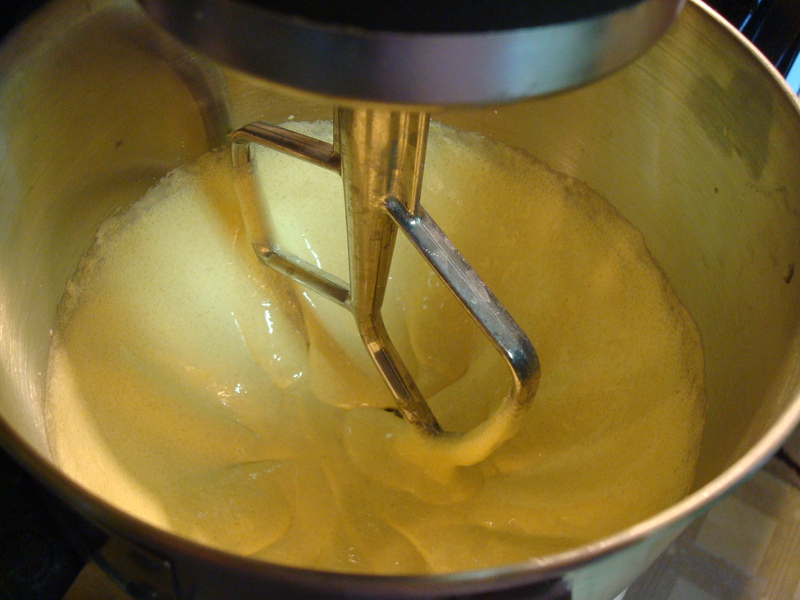 Add half the milk to egg-yolk mixture, and whisk until blended. Stir into remaining milk, and cook over low heat, stirring constantly, until mixture has thickened enough to coat the back of a spoon. Brilliant. More ice cream please! I have an Ice Cream maker from our wedding and have only used recipes that came in the Cuisinart book, just haven’t had time to experiment/research. Plus! This is an ice cream no one else will eat! Is there any way to make this if one doesn’t have an ice cream maker? I remember making ice cream by kicking a tin can around at a Campfire outing as a kid, so yes, it is possible to make ice cream without a fancy maker. Food Jammers on The Cooking Channel made ice cream using this method once. Though if you prefer a less rustic method, David Lebovitz has some easy-sounding suggestions as well. OMGoodness,KJ!!! I want THIS ICE CREAM. Dang, such a major bummer to be totally lactose-intolerant.